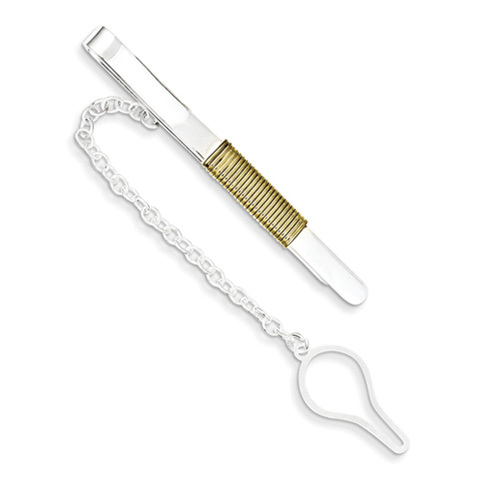 Sterling silver tie bar has a vermeil accent and a chain. Item size: 2 3/16 inch by 1/8 inch. Weight: 5.8 grams. Made in Italy.